Now a days, any mention of malware and Macs in the same setting generally conjures up images of WireLurker. It was notable as a new family of malware specifically targeting iOS devices via USB and is able to penetrate the iPhone's strict software controls. WireLurker has been in action in China for the past six months, first infecting Macs by inserting Trojan software through repackaged OS X apps, then moving on to iOS devices. The firm claims that it is the first to automate generation of malicious iOS apps by implementing a binary file replacement attack. Security experts at Palo Alto Networks traced WireLurker in a research paper saying "It is the biggest in scale we have ever seen! “. WireLurker can jump from a Mac onto an iPhone running a vanilla version of Apple's operating system by leveraging Apple's enterprise provisioning assets. The WireLurker attackers "probably aren't people who do this often," says Ryan Olson, intelligence director of Palo Alto Networks' Unit 42. They are "clearly very skilled MacOS or iOS developers," but they definitely are not very experienced in writing malware. With Apple's global smart phone market share continues to rise, so do the number of attempts to surreptitiously harvest data from unsuspecting consumers. As for who created WireLurker, Palo Alto's best guess is that this is one individual or a small group of individuals operating within China, independently of any nation-state. They could be a startup malware house in the new financially motivated, politically independent cybercrime underground growing behind the Great Wall. Taking advantage of an app provisioning vulnerability, WireLurker lays dormant on a user's computer in an infected OS X app. The malware monitors for new iOS devices and installs malicious apps downloaded from an off-site server or generated autonomously on-device. From there, the program can access user information like contacts, read iMessages and perform other functions determined by the command-and-control server. So far, 467 OS X apps have been infected and distributed through China's third-party Maiyadi App Store, with downloads totaling over 356,104 possibly impacting "hundreds of thousands of users." While many publications have dubbed WireLurker “a new brand of threat,” it seems that the majority of users have nothing to worry about. It’s relies on a USB connection for delivery—a practice that has gone by the wayside for most folks in recent years. On November 14, the Beijing Municipal Public Security Bureau announced it had arrested three people in connection with the WireLurker malware which brought a sense of relief among Apple users of China. 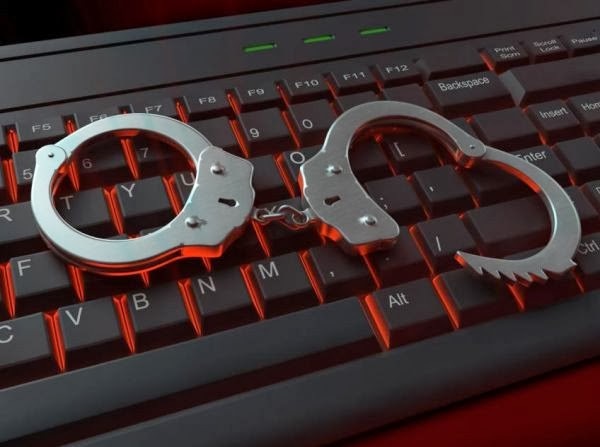 The police received a tip from the Chinese technology company Qihoo 360 and subsequently arrested three individuals, respectively surnamed Chen, Li, and Wang. The third-party app store that had been serving WireLurker, Maiyadi, was also shut down. Apple has already taken steps to block infected programs but the rest of the work rests on users.